Your experiences will be more enjoyable if your photos mark a point in a memory rather than define the boundaries of a memory. Today's experience (Part 1 of 2) was defined by the photos. 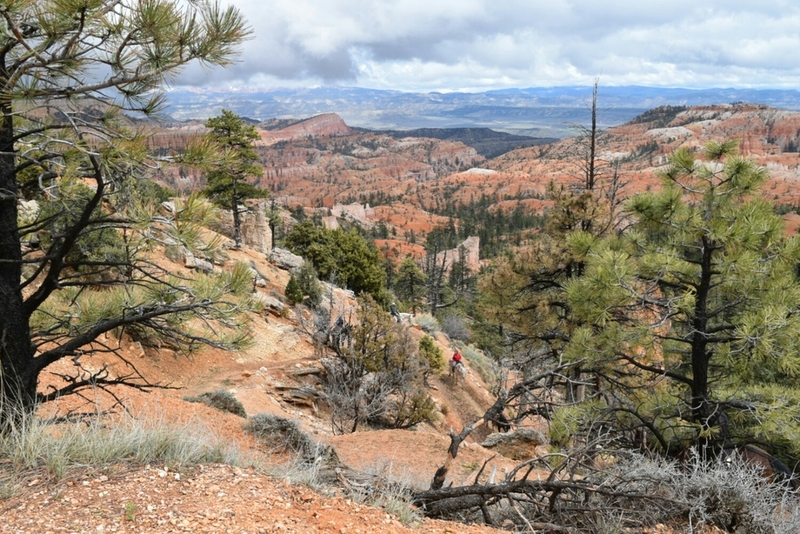 I collected a number of scenic outlooks over Bryce Canyon National Park. But what you see in these photos is about as close as I got to nature today. The trail loop (Fairyland) I was eyeing today was a non-starter. Geared up and ready to go for the 8-mile loop and a mid 40s drizzle, I threw in the towel after a half dozen steps. A park employee warned me it was going to be muddy. He was right. The drive was epic, notwithstanding. Similar to Arches, Bryce Canyon runs along 16 or so miles, end capped by a cul-de-sac. And the views were stunning. But more so than Arches, Bryce involved a lot of stop, get out and look, then drive between the trees to the next view. 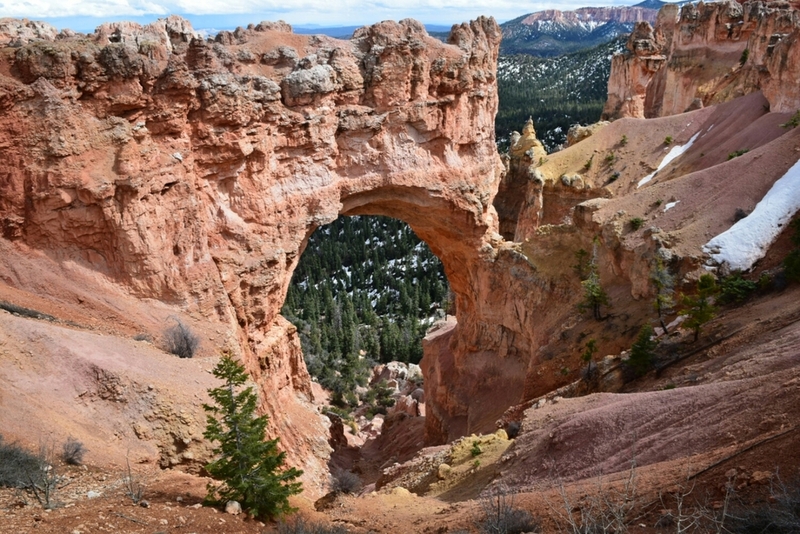 To my opening statement, my connection to Arches is stronger than Bryce Canyon because I went out and hiked Arches. 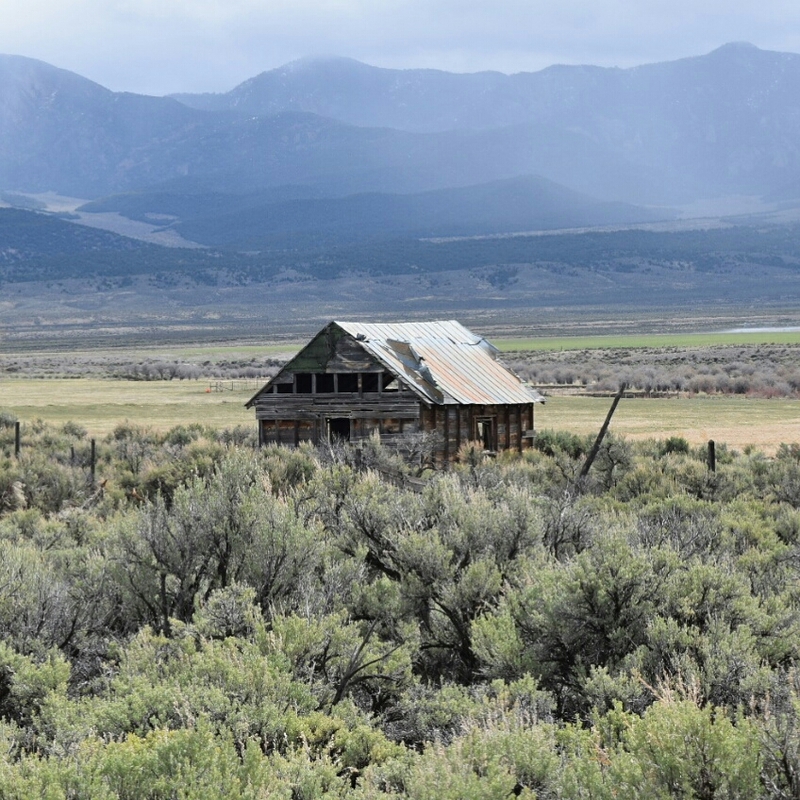 I went beyond the methophorical railing of the scenic overlook. I would compare the sensation of hiking in some ways to swimming in the Ocean. How can you feel the power Ocean from the beach? You can take a picture from the dry sand, become aware that it's there, even interact with people as they leave the water. But how can you feel the power of the Ocean without stepping in? This kind of discussion naturally leads to a higher word count than I'm willing to put out tonight. So I must end the post short of the rest of the day after Bryce Canyon. As a little spoiler I'll say the first beer of the trip was involved, a Polygamy Porter. And it's dedicated to Carl Schultz, who was the first to officially "Buy Me a Beer". I'll also say that Part 2 covers something that really knocked my socks off.